Extra, Extra read all about it! We’ve received a lot of attention from various media platforms which we would love to share with you. Click the links below to see what’s been said about Boody. In conjunction with our range of monthly blog topics - from fitness to lifestyle - we, at Boody, are excited to add to the monthly reading-list our new Sense Series for moms and moms-to-be over the next few weeks, where we will chat through a few common topics on mom-hood and our bubs, and hopefully help you breathe a bit easier as you tackle this journey one step at a time! We start off with one of the most discussed topics in the parenting-world, and we hope you come away with some fresh perspectives and hope in nurturing that good night's rest! Chatting with a group of new moms can be sanity-saving as we all nod in sympathetic unison at the struggles that come with newborn sleep. I have yet to meet a mom who has passed through the miracle of birthing new life and not experienced the pain in finally getting your bub to fall asleep in your arms - after minutes or hours of rocking and bouncing and giving yourself backache as you slowly lower them down towards the matress - only for their arms to fling up and flail like an uncoordinated seal as they leave an absolute state of slumber as their head hits the pillow! It's all over; and you start from the beginning with settling and soothing and hushing and bouncing. Leading expert on co-sleeping, James McKenna, explains that infants gain their sense of self through their caregivers, and as far as they are concerned, survival is dependent on this initial unbroken unity. Understanding that they are a separate person from their mom only starts to happen somewhere between 6 and 9 months, and until then, the connectedness of mom and baby (through their sensory experience) is an assurance of survival. Distance is irrelevant - whether you are in the bathroom next door trying to take that much needed shower in peace, or on a plane to North Pole, your baby's brain senses the absence and responds from a place of basic instinctual need. Your baby is not into a game of manipulation or instant gratification - your baby is simply responding to its need to be warm, feel safe, be fed and survive. For 9 months your baby has had every need provided for without needing to communicate or process or think. The womb environment was perfect - the ideal state of warmth, pressure, sound, light and nourishment - and their entrance into the world is a profoundly different sensory experience. Understanding that the need to nurture these innate feelings that confront your bubs, for just a short period in their life, can be soul-saving, as you learn to work with the natural state of being (instead of against it) and instil in your baby a sense of security that will result in a confident, independent little human later on. The womb is dark and baby is constantly surrounded by the warm (37◦C degree) pressure of water. Your baby is naked and everything that brushes their body is soft to the touch - keeping in mind that they are constantly in contact with mom's skin. Noise is muffled through the layers of skin and liquid, and they are curled tightly in that small space. The sensations on your baby's skin are such an important part of their sensory experience, yet it is an area that is often overlooked. For 9 months their little bodies are constantly soothed by constant, warm fluid. Research has found that infant skin is not fully mature at birth and is adapts to life outside the womb over the next 5 years! For this reason it is important to dress your baby in soft, natural material which replicates the gentle skin-to-water experience in the womb and helps to regulate their temperature. Sleep clothes that are soft on the skin and have an even stretch to the material help calm the senses, like our bamboo onesies, or soft t-shirts, and provide a natural sensation on the body which aids in restful sleep. At the same time, swaddles mimic the snug space of the womb and can make babies feel safe and secure, resulting in better sleep. Our clever little humans very easily sense change in pressure - such as going from your arms to the mattress. Swaddling is so helpful in keeping your sleeping bub still and secure, and choosing a wrap that has stretch to it allows you to surround their body evenly and replicate the feeling of the deep pressure of water in utero. While some bubs respond well to having their arms secured close to their bodies, a firm but stretchy wrap can dull the startle reflex that often wakes babies from their sleep, but still allows some movement which some wriggly bubs prefer, just as they would've been able to do in the womb. If you battle with that transition from arms to mattress, have a look at our light and breathable stretch jersey wraps to give your baby the feeling of consistent pressure, making them feel secure and cuddled as they leave your arms and are put down to sleep. Once baby is able to roll over it is important to stop swaddling for safety reasons, so making your bub feel secure in their transition to sleep while you can still swaddle helps create a positive sleep experience going forward. In the hope that your bub will doze off cocooned in soft, cosy bamboo we'd like to give you 20% off our stretch jersey wraps. Shop for your wrap, use the promo code “BOODYSENSE" at checkout (valid until 19/4/19), and try these three different swaddling methods at your bub's next naptime. Noise is another important part of a baby's life in the womb, and while lullabies are the common go-to, you may find the sound of the vacuum-cleaner works better in lulling your baby to sleep! This is because it is closer to the gurgling, muffled experience in your belly! Downloading a playlist of white noise on your phone on an app like Spotify can be so helpful. Press play before your bub is asleep, and leave it on gently in the room once they are down. Baby-wearing is another way that many mom's finally find time with two hands free to prepare meals, do some work, go grocery shopping or simply go to the bathroom. Research has shown that babies who are carried regularly cry significantly less than those who are not, and after 9 months curled up close to your heartbeat, it is no surprise that baby-wearing can be a magical experience as a crying, tired baby suddenly relives its womb-experience, wrapped close to mom or dad's chest, and finally falls asleep. There are countless reasons to baby-wear: from regulating their heart rate and temperature, to developing muscle tone and neurological pathways, and all the benefits compound together to create a positive sensory experience which reduces crying and aids sleep. Have a look at these stunning Noonoo Pie tie wraps, or learn how to make your own. Skin-to-skin time is completely underrated - and there is no material more natural and calming than that of your own body against your baby's. Research has shown that babies who have more skin-to-skin contact with their parents cry less and sleep better as it releases hormones that relieve stress and stabilize your baby's temperature, breathing rate, heart rate, and blood sugar. When your bub just won't fall asleep, take some time to place them bare, on your skin, and do it as often during the day as you can to help settle your baby before the evening fussiness begins. Smells have direct connections to the limbic system and go straight to the conscious brain, unlike other senses which are processed by the relay center (the thalamus) first. Often wonder why smell has the amazing ability to take you back to a moment in time or a specific place or thing? The limbic system controls memories and feelings, and so creating a soothing olfactory experience in your baby's nursery or while they sleep can be so beneficial for a peaceful night's rest. Between 0 and 3 months your baby's sense of smell is incredibly heightened, and authors of "The Baby Sleep Solution", Suzy Giordano and Lisa Abidin, suggest infusing your baby's pajamas or blanket with your scent by sleeping with those items against your skin for a few days before clothing your baby in them. A 2007 article published in the "Journal of Perinatology," found that both premature and full-term infants stop crying more quickly when they're exposed to their mother's scent, which might enable babies to fall asleep faster because they're content. From 3 months onward soothing smells of lavender, chamomile or mandarin can aid in a calm atmosphere and subsequent sleep. You can spritz the oil in the room or dilute it in a carrier oil, such as coconut oil, and give your baby a relaxing massage. Do not put the undiluted oil directly onto your bub's skin as they are far more sensitive than adults. A dilution ratio of 1 percent essential oil is gentle enough for your little one's skin and soothing enough for sleep. Your baby's sensory experience is so important in helping them transition into this crazy big world outside of the womb. So take some time and think of a few other ways you can work with your baby's innate feelings when it comes to bedtime, and don't panic when things don't work. Try something else, keep going and take a deep breath. We, at Boody, sincerely hope you get some much needed sleep with the help of some of these tips above. In the meantime start by creating a natural womb-to-earth environment to soothe your baby's senses into the familiar slumber from which they came, and don't forget to take a nap too, once your baby dozes off! Please share with us any ways you have worked with your baby's sensory experience to help them sleep which may help another mom in need! Use the promo code “BOODYSENSE” to get 20% off your beautiful stretch jersey wrap (valid until 19/4/19), and sign up to our blog to catch the next post in our Sense Series. Sleep Sense: My Baby Won't Sleep! Conscious living is a phrase that gets thrown around a lot these days. It’s in the vocabulary of all the up and coming eco brands and is casually mentioned in the blogs of all our favourite planet-friendly foodies. But what does is really mean beyond ticking all the metaphorical boxes and feeling the warm fuzzies all over? For us, at least, what lies at the heart of conscious living is the concept of self-awareness. Having a keen understanding of one’s self is key. Moreover, an understanding of how our internal world (thoughts, feelings, knowledge ideals) effects our external world or environment is what helps us live more consciously, and this largely determines how much power we have over our behaviour. This consciousness or awareness extends to our daily actions – whether we’re buying a loaf of bread, shopping for a new bra or choosing a new restaurant. Every one of our actions, no matter how small has a consequence and it’s important to take cognizant of this. What this translates to for us eco-warriors, is the knowledge that choosing that reusable razor over the single use pack or practising meat-free Mondays may be a tiny drop in the ocean of change, but regardless, it is our drop that we can take proud responsibility for (quite clearly, self-awareness is poles apart from self-absorption). So, rather than only relying on the what-not-to-buy or what-habits-to-break guide, let’s adopt a mindset of self-awareness and let this be our daily guide for conscious living. Our mindset is the most powerful agent for behavioural change – just imagine the difference we can make when we are more focused and mindful! Being conscious is all about being true to our values and beliefs, stripping down to the bare essentials (figuratively speaking) and constantly assessing whether our current actions match who we are or who we aspire to be. To be more eco-conscious people, we need to educate ourselves and keep up with current environmental news. We need to ask ourselves the hard questions like ‘are my clothes made ethically?’ or ‘does my food adhere to organic standards?’. But ultimately, we need to look deep within ourselves and know that conscious living is far more than just a buzzword or popular trend, and that it’s a manifestation of what we stand for! Do you agree with our definition of conscious living? Have any advice on how to live more consciously? Share your thoughts about this blog in the comment box below – you may just start up an interesting conversation! In an ideal world, aeroplanes would run on cleaner fuel and cause zero harm to the environment. But with loved ones who live across the continent and limited travel options, we often have no alternative other than taking to the skies to visit our friends and family during the festive season. Although our mode of travel may be out of our control, we still have control over the way we conduct ourselves when travelling. And for us at Boody SA, we’d prefer to conduct ourselves in a way that is respectful to both people and the planet. For us this means taking whatever steps we can – however small they may be – to reduce our waste while flying. Start your journey right and go paperless from the get go. It’s easy to leave your check-in to the last minute, but by planning ahead and checking in a few days prior to your flight, you can make sure that you download your boarding pass or itinerary on your phone to avoid printing it and wasting paper. Try to reduce travel times by choosing the most direct flight paths where possible. A plane uses the most fuel and produces the most emissions when taking off and landing, so the less layovers your flight has the better. Durbanites should be glad to know that they can now fly direct to Heathrow via British Airways! When it comes to short flights, it’s better to completely avoid snacking. This is because smaller items like chips or sweet packets can cause more waste (as opposed to foods that are packaged in bulk), and it’s difficult to be certain of your chosen airline’s recycling policies. So, instead of giving in to the travelling munchies, rather get to the airport earlier and eat at a restaurant beforehand. If you have to snack onboard, then pack your own snackbox. This way you can also create less waste by using plates, cutlery or containers that can be washed and reused. The same thinking goes for drinks – rather bring your preferred drink onboard in a resuable bottle! It’s important to keep in mind that the more the plane weighs, the more fuel it requires to power it. And naturally, more fuel means more carbon dioxide emissions! Thankfully, we can play a role in reducing this weight by packing lightly. Sticking to the bare essentials and choosing everyday clothing (like Boody Eco-wear) with neutral colour palettes that can easily be mixed and matched is definitely the way to go. There’s absolutely no need to buy eco-insensitive, travel-sized shampoos, soaps or handwash when you can use what you already have at home and pour it into small reusable bottles (which you can find at DisChem while you’re getting your Boody Eco-wear). Travel trinkets may be cute and fun for us, but just remember that the planet, and the creatures living in it, may not feel the same way. On that note, one toiletry item that we highly recommend (which is earth and animal-friendly) is a WooBamboo toothbrush. This clever product is compostable at the end of its lifespan and reduces heavy landfill waste created by toothbrushes with plastic handles. If you enjoyed these eco-friendly flight tips and found them helpful, then why not scroll down to the bottom of this page and subscribe to our newsletter to receive our latest eco-awesome tips and tricks? Did you know that 20 000 litres of water are needed to make one kilogram of cotton (this equates to one t-shirt and a pair of jeans), or that cotton crops account for 25% of global insecticide releases? Apart from the production of cotton crops, there’s also the process of turning this plant into fabric and treating it so that it’s flame-retardant and wrinkle-free. This process often involves the use of formaldehyde and perfluorinated chemicals, which are highly toxic! These facts become a whole lot scarier when you consider the impact that they may have on your little one’s health and future! From the threat of nasty chemical residues rubbing off on your child’s skin to irreversible environmental degradation, your choice of baby clothing certainly matters. Thankfully there are a growing number of options in the baby clothing industry, and eco-friendly and skin-friendly alternatives such as bamboo fabrics are becoming increasingly popular among conscious consumers. With this in mind, let’s take a closer look at why Boodywear organic bamboo baby clothes are better for your tiny tot. Because bamboo is naturally resistant to pests and insects, there is no need for the use of environmentally harmful pesticides and insecticides in its production. In contrast to water-hungry commercial crops such as cotton, bamboo harvests simply require rainwater to grow. So, when you buy organic bamboo baby clothes, you’re contributing to a more sustainable future for your child – one in which water is not a scarce resource! Our process of manufacturing eco-friendly bamboo clothing for babies makes use of a closed loop system, which means that all liquid is recycled and all solvents are captured and removed to ensure that every step we take is as environmentally-friendly as the bamboo itself. Bamboo contains an anti-bacterial and anti-fungal bio-agent, which not only makes it a very hygienic baby clothing option, but also causes bamboo fabric to be odour-resistant. With fibres that contain micro-gaps, bamboo fabric provides ventilation and pulls moisture away from the body, allowing skin to breathe. Because bamboo fabric is thermo-regulating, it’s much easier keep your baby comfortably cool or warm without bulky layers. If your precious darling has sensitive skin or is a bit of a wriggly worm, then they’ll definitely enjoy the luxurious, silky soft comfort of bamboo fabric as well as the four way stretch which provides ultimate flexibility. After reading through all these benefits, it’s easy to see why bamboo is often referred to as a ‘miracle plant’! With this new knowledge about eco-friendly bamboo clothing for babies, we hope that ready to experience the beauty of bamboo first hand. View our wide selection of organic bamboo baby clothes to see what you and your baby can look forward to! Organic Bamboo Baby Clothes: What’s Best For Your Baby is Best For The Earth! With famous Hollywood actors like Emma Watson speaking out against unethical fashion and magazines like Vogue promoting eco-friendly ideals, we’re starting to see a mindset shift when it comes to consumer purchasing habits. As consumers are becoming more aware of how their purchasing decisions impact the environment, support for brands that adopt sustainable business practices has increased. And an interesting consequence of this has been the gradual gravitation toward eco-conscious fashion trends. Here are a few sustainable fashion trends that we’ve noticed lately. Want to stay up-to-date with the latest fashion trends, but don’t want to buy a whole new wardrobe? You’ll be glad to know that there’s another alternative – one that’s budget-friendly too! Ever heard of the term ‘refashioning’? If not, you’re sure to hear it being used more often as ethical fashion trends are beginning to embrace the idea of reducing landfill waste by giving old clothes a new look. With a few simple sewing tricks and some creative flair, you’ll be surprised by how you can quickly transform those drearily dull items in your closet! The term ‘collaborative fashion consumption’ has recently entered the sustainable fashion vocabulary, and has made luxury brands like Vera Wang and Giorgio Armani more accessible to middle-class fashion fanatics through the renting and sharing of clothing. Initiatives like ‘Rent the Runway’ have followed in the footsteps of companies such as Netflix and Spotify by favouring access over ownership. And this is great news in terms of environmental impact, as this means that both the purchase and disposal of clothing is greatly reduced, resulting in less waste. Want to know where you can rent designer clothing in South Africa? Check out online clothing rental service, Little Borrowed Dress – this clever start up is going places! It’s time to raid gran’s closet! A renewed interested in vintage clothing is giving both budgets and overloaded landfills a break. So, look out for companies that re-pair or sell vintage outfits if you’d like to stay up-to-date with contemporary fashion trends and be eco-conscious at the same time. Some current examples of South African vintage clothing companies include Cape Town based online store, The Changing Room and Durban based store, Fantabulous (situated in Morningside). With water-hungry and chemically-intensive plants such as cotton being one of the most widely grown crops in the world, there’s little wonder as to why organic and sustainable fabrics like bamboo are at the forefront of the ethical fashion movement. The ability to be grown without pesticides and without artificial irrigation has certainly contributed to bamboo’s preference in the sustainable fashion industry! After reading through these sustainable fashion trends, we hope that you’re just as excited as us about the future of fashion. Join our mailing list for more eco-awesome blogs and stay up-to-date with current happenings in the world ethical fashion (enjoy 10% off your first Boody order as an added bonus!). 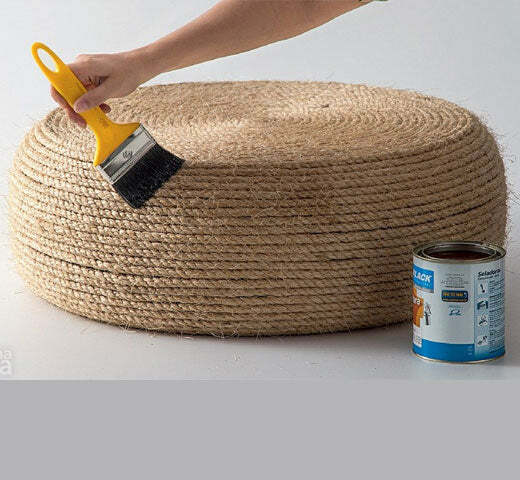 With the eco conscious movement rapidly gaining momentum around the globe and the demand for eco-alternatives rising, these days you can get just about any product in a more sustainable, eco-friendly version. But when it comes to eco underwear in South Africa, there aren’t very many options available. And what’s more, it can be pretty difficult to find decent bras or basic briefs that fit just right, let alone ones that live up to the environmentally-friendly promises on their labels! Fortunately, at Boody SA, we have you (and your nether regions) covered. Our everyday organic underwear range gives you all the comfort you need and doesn’t force you to compromise your values or standards. But besides the obvious appeal of earth-friendly, bamboo fabric, there are plenty more reasons to support our brand. We’ve listed a few of our favourite features below to give you a brief (pun intended) idea of how cool our eco underwear is! For those of you who can’t stand underwear that continually creeps (at the worst of times too), you’ll be relieved to know that our range of eco undies has been designed to stay put! Even the shapeliest curves are no match for our everyday basics. With Boody eco underwear, those cringe-worthy occasions - when your dress or longs decide to cling to your behind in an unflattering manner - are history. This is because our bamboo fabric has a neutral charge, which prevents static build-up. Pretty awesome right? When it comes to your most delicate parts, proper hygiene is non-negotiable. And that’s exactly why we chose to use bamboo for our eco underwear range, as this organic material is naturally anti-bacterial and anti-fungal in its make-up – meaning that unwanted external bacteria and fungi are automatically banished and are thus unable to interfere with your body’s natural microbial balance. Plus, this unique anti-bacterial and anti-fungal property makes boody underwear odour-resistant (a winning feature if you ask us!). Breathability is an important factor to consider when purchasing underwear, as this feature plays an important role in genital health. Problems such as skin rashes or yeast infections can be avoided by choosing underwear with moisture-wicking properties, which allow your skin to breathe by providing ventilation and pulling moisture away from the body. If you’re a tactile kind of person, then you may appreciate the fact that our underwear is luxuriously soft and silky smooth. And because of this, Boody underwear almost acts as a second skin, as our 4-way, flexible stretch allows the fabric to move with you, making you feel as if you’re wearing nothing at all. Whether you’re an eco-warrior or not, these 5 benefits certainly make organic underwear extremely appealing. Don’t believe us? Well then, check out our testimonials to see what customers have said about our fantastic range of products for men, women and babies. Lost at what to buy that special guy in your life? We all know that men are notoriously hard to buy for, so fortunately we have come to the rescue. These gift ideas will not only put a smile on his face, but you will be helping to keep our planet greener and cleaner as well. Here are our top 5 eco-friendly gifts for him. Made from the miracle fibres of bamboo. Boody clothing is naturally eco-friendly, wonderful to wear, resilient, superbly soft and healthy for even the most sensitive skin. Their basic range for men includes t-shirts, underwear, socks and more. Ditch plastic or metal sunglass frames for wooden ones. They super stylish and so on-trend. Made from natural, renewable material and so do not adversely affect the planet as much as traditional sunglasses would. Also if wooden sunglasses get damaged or they no longer needed, it can be easily disposed of in an environmentally- friendly way, as discarded wood can decompose. Keep his smile big and bright with a toothbrush made of bamboo! With millions of plastic toothbrushes been thrown away on a daily basis all of which either end up in our oceans or landfills, why not use an eco-friendly option like a bamboo toothbrush. The toothbrush handle is completely biodegradable and the bristles can be recycled too. Embrace ‘green’ styling with a functional, durable, uber stylish bamboo watch. Let your guy keep track of time the eco-way. Bamboo watches are fast growing in popularity and are available in many creative designs, making it easy for you to find a design that matches his personality and style. Today’s modern man can gain a lot of benefits from the use of organic beard oil. Yes ladies, his beard needs attention too. It’s not just merely a styling or grooming tool. Organic beard oils are endowed with awesome bleads of essential oils that will keep his beard looking great all year round. Using organic beard oil can assist with beard itch resulting from dry hair or skin. Helps kill off bearddruff (yes, it’s a thing) and also helps with spilt ends and more! So there you have it, 5 awesome eco-friendly gifts that will keep him looking good while helping the planet. If you have eco-friendly gift ideas of your own that you would like to recommend then do share them with us in the comment box below. Let’s help each other make this world a little greener. As we settle into the colder months ahead, we can’t help but get excited about all the yummy comfort food that winter brings. There’s nothing more comforting than coming home to a freshly cooked hearty warm meal. The thought of it has us salivating already! With all the delicious food that you can indulge in, we need to bear in mind that hearty and wholesome doesn’t have to be unhealthy. So to make sure we get all our fruit and veggies in this winter and to keep our immune systems healthy, we have selected a few of our favourite organic winter recipes that would you have covered from breakfast through to dinner. • Add the flour, coconut sugar, baking powder, baking soda, salt and cinnamon to a bowl and stir together well. • Add the milk, water, sweet potato, butter, flax, vinegar and vanilla extract to a blender and blend until completely smooth. • Mix the blended liquid with the dry ingredients gently, and do not over mix. Just stir it together until you cannot see any dry flour. Do not beat it or use the blender. As soon as everything is incorporated, stop and set aside. Leave to rest for 5 - 10 minutes. • Heat your griddle or a heavy bottomed frying pan over a medium heat. • Make the caramel sauce while the batter rests. In a small sauce pan add the coconut sugar and water and heat over a medium heat until it is liquid and you cannot see any grains of sugar. Remove from the heat. • Add the sweet potato, cashew butter, salt, ¼ cup milk and the cinnamon into a blender. Pour in the melted sugar mixture and blend everything up until smooth. Return to the pan and warm gently for a few minutes before serving with the pancakes. • Check the griddle/pan is hot, then scoop ¼ cup (around 60ml) amounts of batter on to it. Leave alone until the edges are looking firm and the top is either starting to bubble a little or beginning to solidify. It takes about 5 minutes. Flip then cook for another 4 minutes. • Serve immediately drizzled with the warm caramel sauce. • Add onion and garlic and cook for 2-3 minutes until onion is soft. • Cover and cook on low for 3 to 3 ½ hours. If using a braising pot, place in oven to cook at 160° for approx. 3 hours. Check about halfway through and turn oven down if mixture is bubbling aggressively. • Mix well after cooking is complete. Serve sprinkled with cheddar, garnish with sour cream, cilantro, and red pepper flakes to taste. We hope our recipes will help you keep things hearty but healthy this winter, but just in case you need a little extra warmth our beanie’s, socks and long sleeve tops for women will surely do the trick. Boody is derived from organically grown bamboo which has amazing thermo-regulating qualities that will keep you cosy and warm in winter but cool in the summer, perfect to use all year round. Have any organic winter recipes that you’d like to recommend? Help us make this world a little greener by sharing it with us in the comment box below. So what’s trending in the world of baby this year? Going green for your baby is definitely at the top of that list. A more environmentally conscious generation of parents are looking for eco-friendly products for their little ones that make less of an impact on the planet. Ensuring your bundle of joy gets the very best can be a daunting and stressful task but we have 6 eco-friendly tips to make sure that your angel has a small carbon footprint and lives a greener and cleaner lifestyle -tiny feet, small footprint. Dads listen up! One of the most important things you can do to ensure your little ones nursery is kind to both your baby and the environment is by choosing a water-based paint that is low in VOC’s (Volatile Organic Compounds). You can find water-based paints at most paint stores, so you won’t have any problem finding environmentally friendly, low-toxin paint in exactly the hue that you want. Wrap your baby in Boody. Many parents are gravitating towards organic clothing to limit the exposure that their little ones get to toxic chemicals that are normally found in the making of everyday fabrics. With Boody, parents can rest assured that their baby will not be exposed to these harsh chemicals and they will be helping the planet too. Our oh-so-cute eco-friendly baby range combines the softness and benefits of bamboo to deliver clothing that is hypo-allergenic, breathable and silky soft. Our range includes onesies, leggings, t-shirts, shorts and more and now also available in a trendy stripe design. There are plenty organic recipes that can make food time easy and fun. Because babies are so sensitive to toxins in foods, the fact that organic foods have no additives or pesticides and aren’t genetically modified, means you give your baby the best start to a healthy lifestyle. Parents can make their own organic food for their little ones. Simply choose organic fruit and vegetables from your local grocer, cook and blend or mash some raw fruit and watch baby smile. Why not start your own garden so you can eventually teach your toddler where good food actually comes from? It would be a fun bonding exercise for you both. 4. Silicone feeding bowls are a thing! What’s in the bowl is equally important as the bowl itself. Silicone feeding bowls are free of BPA, phthalates, cadmium, lead and so much more. They are microwave and dishwasher safe and safe for baby to play with it too. Online Google searches for eco-friendly toys are up by 173%. Toys made of wood are what parents want more of. Not only will these toys limit the exposure to harmful chemicals which are sometimes contained in toys, it will also assist with eliminating the risk of over-stimulation through technology and digital games which many children are currently exposed to. Wooden toys require a child to move more and use the toy rather than just watching it. Another benefit of wooden toys is that it can be passed down from generation to generation and be kept in the family. 50 million diapers end up in landfills every day and will sit in those landfills for 250 – 500 plus years. Go eco for your babies bum by using either eco-friendly disposable nappies or cloth nappies. 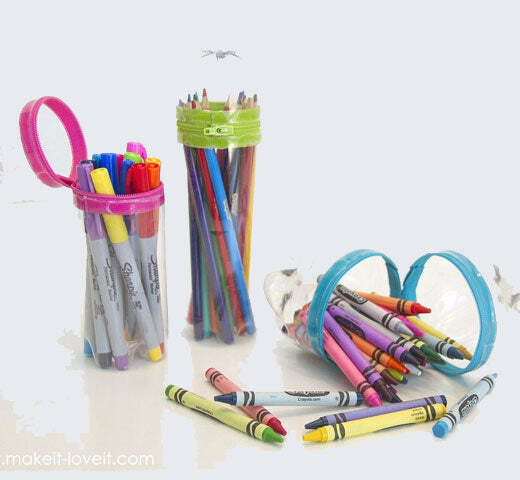 They are dioxin free and free from harsh chemicals and perfumes – unlike their big-brand disposable counter parts. They can be easily purchased online. Eco is the way to go! These tips are simple to implement and your baby will definitely thank you later. Try out our suggestions and let us know how it’s helped you move towards living an eco-conscious lifestyle and growing a greener family. We’d also love to hear your thoughts on our baby range, or if you have any questions about our full range, feel free to send us a note in the comment box below. Working out with a partner is more fun and Boody fans have the added pleasure of doing it in our newly launched our Activewear range! Our eco-friendly activewear range includes active tights, sports bras, tank tops and active socks for the ladies. Our range is the first to combine the softness and benefits of bamboo with innovative fabric technologies to deliver a range of performance wear you can feel and look great in. We sure you’ve heard the saying, “some things are just better together”. We agree, because studies have shown that working out with a partner has more benefits than training solo. Working out with a friend, co-worker or significant other can increase accountability, keep you motivated and can produce better overall results. Begin in a push-up position, head-to-head with your partner. Both of you should lower your body into a push-up and rise back up together. At the top of each rep, raise your right arms to give a sideways high-five. Repeat the push-up and high-five with your left arm, and continue this for as long as you can. Stand facing away from each other about two feet apart. Place your feet wider than shoulder-width apart and bend your knees slightly. The first partner holds the medicine ball with both hands. Both individuals rotate to opposite sides. The first partner hands the medicine ball from behind to the second partner who retrieves it from behind. Both individuals turn to the opposite sides to again exchange the medicine ball from behind. Face your partner with your feet together. Jump your feet apart into a squat position, then jump your feet back together as you return to a standing position. Its super fun and it gets your heart pumping. Come into a forearm plank position and hold it for 45 seconds or as long as you both can while looking at your partner. Looking at your partner whilst doing this helps keep your spine in a neutral position which is important when doing this exercise. Lay on the floor while your partner stands over you, facing your feet. Grab your partner’s ankles. Keep your lower back pressed into the ground, raise your legs, when they reach a 90 degree angle to the floor, your partner then needs to push your legs back down. Switch places and repeat this exercise as many times as you can. It’s been proven time and again that a workout buddy helps you produce the best results and it’s also an amazing relationship building exercise. Try out our suggested workouts and let us know how it’s helped you. We also have an exciting offer running for the month of March, if you purchase a pair of active tights and a sports bra you will receive R150 off! Don’t miss out on this awesome offer. Here’s to more fitness fun and living a happy and healthy life! We’d love to hear your thoughts on this topic, or if you have any questions about our activewear range, feel free to send us a note in the comment box below. With Valentine’s Day around the corner, many couples are looking for unique ways to spoil their loved one. Why not try “Green” dating? Treat your better half to an eco-friendly date. Spread your love a little further by loving the planet too. Cheers to love and happiness with the one you adore with a glass of wine from an organic winery. There’s nothing more romantic than exploring a local winery to taste the fruits of sustainable agriculture. You could also learn a thing or two about organic farming techniques and how it benefits the planet. Take advantage of our hot summer days and head outdoors for a romantic picnic. Picnics are perfect for a first date, get to know each other over some organic wine, cheeses and fruit. There’s nothing better than good old face to face conversations. So disconnect yourself from the digital world and connect with nature instead. Bring non-disposable plates, cups and cutlery for an extra eco-friendly date. Whether you dig in the dirt of your own backyard or rent a space at a local community garden, digging in the dirt with your loved one can be loads of fun. This will not only help the planet but it’s something that you both will have forever and something you could one day share with your children. And, of course, when you start seeing the fruits of your labour it will be nothing short of special. Hop on a bike and head down to your nearest farmers market. Explore the wonders of the market taking in the sights, smells and tastes of local produce. Grab a few items that you could later prepare a delicious meal with and end the date with a perfectly cooked meal with the love of your life. For an extra eco-friendly date try to use as many seasonal foods as possible. Immortalise your love in a painting. Create your own masterpiece with a fun and interactive arts & crafts afternoon out. Whether you’re the next Picasso or can barely draw a stick man, receiving a handmade gift is pretty special and something that is not nearly done as often as it should be. We hope these eco-friendly date ideas will help you chose the perfect date to spoil your loved one with. We’d love to hear your thoughts on this topic, so be sure to leave us a note in the comment box below. Are you eager to start 2018 off on the right foot? Have you begun setting yourself a few health-focused new year’s resolutions? Most of us look forward to becoming healthier, happier versions of ourselves in the new year, but few of us see any connection between our health and the health of the planet. Sadly, we fail to realise that the two are inextricably linked. An increasing amount of evidence is, however, starting to show just how big of an impact our environment has on human health. And unless we start treating Mother Nature with a little more respect, we’re in for some serious health consequences. From lung cancer and heart disease to an increase in killer diseases such as malaria and cholera, prolonged exposure to air pollutants and rising temperatures aren’t painting a pretty picture for the future of human health. On the bright side, there’s a lot we can do to reverse the negative effects of climate change and environmental degradation. By simply adopting healthier, eco-friendly habits and encouraging others to follow suit, we can make more of a difference than we think! With this in mind, why not use 2018 as an opportunity to set yourself a few eco-friendly new year’s resolutions that will benefit both you and the planet? Here are a few of our favourite green goals to add to your list of resolutions. Shopping at local farmers’ markets is a good way to reduce your food mileage (food mileage is a popular term used to describe how far food has been transported to reach our plates). Many of the fruits and vegetables you buy at a supermarket are often transported from one side of the country to the other for the sake of increased variety. But is this sizable selection really worth it when you consider the increased carbon emissions produced from all that extra transport, and the long list of preservatives that are used to keep fruit and veg fresh after several days of travel? Around the world, average daily sleep time has been gradually declining. From an average of nine hours a hundred years ago to less than seven hours today, we’ve been getting less and less ‘shuteye’ and have been staying up later and later. As a result, we’re using more electricity than we need and are also negatively affecting our body’s ability to maintain a healthy weight. Sleep plays a vital role in regulating our ‘hunger hormones’ and lack of sleep increases the production of ghrelin – a hormone which boosts our appetite. So, it becomes much harder to keep your weight in check when you’re constantly feeling hungry due to sleep deprivation. In addition to the many skin-friendly benefits that come with bamboo’s anti-bacterial and hypoallergenic properties, there are a number of eco benefits that make it hard to ignore the organic fabric’s appeal. For instance, bamboo plantations only require rainwater to grow, whereas cotton crops require approximately 20 000 litres of water to produce one kilogram of cotton. Bamboo plantations are also very effective when it comes to improving air quality - they produce 30% more oxygen than an equivalent area of trees and also absorb more carbon dioxide and greenhouse gases. Did you know that livestock production is responsible for 14.5% of global greenhouse gas emissions? Although there’s nothing wrong with a healthy protein intake, eating too much meat is not only bad for the planet but is also bad for your health. According to Oxford University’s department of public health, your risk of heart disease and cancer significantly increases when you eat meat more than three times a week! Will you be adding any of these eco-friendly new year’s resolutions to your list? We hope so! Are you looking forward to going on an adventure and making new memories as you travel abroad these holidays? With all the thrill and excitement that comes with travelling, it’s easy to leave your eco-conscious habits behind! With this in mind, we’ve put together a few eco travel tips to remind you to tread as lightly and responsibly as possible while you explore the beautiful world around you. Although it’s tempting to cram your travel bag with those ‘just-in-case’ items, heavy luggage is no friend to the environment! The more the plane weighs, the more carbon emissions it produces. So be smart and pack for the planet – when it comes to clothes, light and classic clothing options like Boody Basics are ideal, as they don’t take up much space and are easy to dress up or down. Now that more and more businesses are being put under pressure to reduce their carbon footprint, it has become much easier to find eco-friendly accommodation. From hotels that embrace sustainable practices to eco-lodges that have gone completely off-the-grid, there are plenty of options to choose from. Check out SA Venues’ list of eco accommodation if you’re keeping your travels local, and are battling to find the right lodging. Miniature-sized travel items, like tiny shampoo, toothpaste bottles or hand cream, may be cute and convenient to carry, but they come at a cost – for both the planet and your pocket! Rather fill up a few reusable bottles or containers with the toiletries that you already have at home. Besides avoiding additional carbon emissions produced from private transport, public transport takes your travel experience to a whole new level by providing you with a chance to interact with the locals and really get to know their culture. Have any eco travel tips that you’d like to recommend? Help us make this world a little greener by sharing it with us in the comment box below. On our continual quest to learn more about health and wellness, we recently met up with massage and yoga practitioner, Solveig Gevers. As an instructor at Yoga Rocks and a founder of Living Bliss Yoga and Wellness, Solveig eats, sleeps and breathes health and wellness, and is deeply passionate about teaching yoga. We all know this and have heard it a thousand times over but it’s number 1 for a reason! Every cell in your body (and we’re talking trillions of cells) cannot survive without this magical fluid from nature. Again, you know this. Drinking water is the simplest and most common remedy to common ailments such as headaches, constipation, muscle cramps, fatigue and that rubbish feeling after any over-indulgence. The treat here is that it has ZERO side effects and 100% benefit! If it’s accessible then go for natural fresh spring water and preferably not from a plastic bottle if you can avoid it (I’ll leave my plastics rant for another day) or get yourself a filter to help reduce the lingering chemicals from the water purification process of your tap water. The bottom line, drink water and plenty of it! Tip: start your day with 500ml boiled water infused with fresh ginger, a dash of lemon and some mint. This will not only hydrate your ‘boody’ful body but also aid with digestion and kickstart your day with all kinds of goodness! Nourish your body with a wealth of nutrients by dosing your day with a juice or smoothie. These allow for quick and easy access to nutrients that will replenish and revitalise your cells, helping to support your digestive system and give you that extra sparkle you need to shine through this summer. Juices allow for an intense dose of vitamins, minerals and anti-oxidants but tend to contain higher levels of ‘sugar’ and the lack of fibre may leave you feeling a little hungry. Smoothies make for the perfect breakfast. They are a little easier to prepare and contain a full range of macro- and micronutrients as well as fibre allowing your belly to feel more satisfied. You can be very creative with your choice of ingredients. Try stick to more vegetables than fruits, add a few seeds, or protein powder, or superfoods of choice. A handful of baby spinach (or swiss chard or kale), a handful of blueberries or mixed beries, a quarter avocado, some cucumber, a slice of pineapple or papaya, half a cup of coconut water, a block or two of ice, some fresh mint and a tablespoon of superfood or protein powder. Blitz together and welcome all that goodness into your body! Move mindfully and observe the way you think, act and feel. Whether you dance, run, surf, climb, yoga, gym, cycle or any other expression of movement, do it with your full attention. It’s easy to let your mind get distracted by the endless outside stimulants that clutter your thinking and dilute your experience of being present and awake. Let the movement of your body and the rhythm of your breathing become a practice of presence, no matter what the activity. Tip: Yoga, yoga, yoga and more yoga. I love nothing better than to get on my yoga mat, no matter what my mood or what’s going in my world – it’s the place where I nurture and grow my relationship with myself and my body. It’s not about how bendy or strong or able you are, it’s about being aware. It’s noticing the thoughts, noticing your attitude, noticing your ideas and expectations and how, perhaps, those patterns of thinking are reflected in your life off of the yoga mat. That simple awareness can shift your entire experience. Source your nutrients in its most natural form (ideally from your local farmers and free of plastic packaging). Make time to prepare your food with kindness so that you can receive it into your body with gratitude. Avoid the processed, refined ‘foods’ that have a complicated list of (mostly synthetic) ingredients. Essentially, summer is a great time to get back to basics. Get out into nature. Nature has the innate ability to heal and nurture you and for most of us it’s right on our doorstep but the mind clutter and material clutter block us from accessing it! Step outside, feel the breeze, the sunshine, the rain or the wind! Kick off your shoes and spread your toes into the lush embrace of grass, soil, sand or sea. Appreciate and celebrate the abundant gifts that nature has to offer you. Tip: make choices that support nature so that nature can support you. Wear natural fibres (Bamboo boodywear of course!). Grow some edible plants. Reduce your waste. Recycle what you can. And re-use the rest. Ride your bike or walk whenever you can. Kindness is the gateway to self-love. And self-love is the gateway to happiness. When you love and celebrate yourself in your entirety, you no longer need to fill any holes or gaps or emptiness because your love is boundless and immeasurable. Love yourself first and then let your love overflow into the world around you. Keep things light and simple. Don’t take life too seriously. Learn to laugh at yourself and love yourself through those moments of vulnerability. Tip: sit quietly each day and reflect on your thoughts and self-talk. Would you say those things to someone you love? This is where a gratitude journal comes in as a handy treat! Take time to write down three to five things you are grateful for and share your gratitude with someone close to you. Sharing in gratitude creates joy and joy is the true expression of love which connects us all from within. Did you know that 1 in 26 South African women run the risk of getting breast cancer during their lifetime? The odds of you or someone you know getting breast cancer are pretty scary when you think about it! It’s even scarier to discover how much this risk increases with factors such as age, gender and genetics. But it’s not all doom and gloom! There’s a lot you can do to reduce your risk of breast cancer. By simply making a few lifestyle changes, you can take charge of your health and have peace of mind, knowing you’ve taken every preventative measure possible. Take a look at the list of lifestyle changes we’ve prepared below to see what you can do to improve your breast health. Being overweight can dramatically increase your risk of breast cancer, especially after menopause. So it’s important to make sure you watch your caloric intake – this, of course, doesn’t mean you should starve yourself! It just means you should make wiser dietary decisions, such as decreasing the amount of fatty foods you eat, and including plenty of fruits and vegetables in your daily meals. Since diet is thought to be partly responsible for 30% to 40% of all cancers, the importance of adopting healthier eating habits cannot be overemphasised! With all the benefits of regular exercise, such as increased energy, improved focus and boosted immunity, it’s just makes sense to be more physically active. But if these benefits aren’t motivation enough, consider the fact that 4 to 7 hours of exercise per week is known to reduce your risk of breast cancer by up to 12%! Smoking is probably one of the worst things you can do for your health. From early aging and lung damage to heart disease and an increased risk of fifteen different cancers, including breast cancer, smoking is definitely a bad idea! But if you’re already addicted, and are struggling to give up this harmful habit, then consider speaking to your doctor or psychologist about available medications or therapies to help curb your cravings. There’s absolutely nothing wrong with the odd drink here and there. But it’s a good idea to monitor your alcohol intake, as experts estimate that your risk of breast cancer increases by 10% for every drink you have each day. Did you find this list of lifestyle changes to reduce your risk of breast cancer helpful? Leave us a comment in the box below and let us know your thoughts. Have you been bitten by the spring cleaning bug yet? Are you ready to make the inside of your house look as fresh and bright as the outside? There are many ways to make our homes look squeaky clean. But few of us give much thought to how our cleaning habits impact the environment we live in. So before you begin your annual spring cleaning ritual, why not take a moment to read these 5 eco-friendly cleaning tips that will make both your home and the earth cleaner and greener? Since most disposable cleaning cloths contain synthetic fibres which are slow to degrade, they end up overloading landfills and thus contribute to the numerous environmental problems caused by them. Rather use microfiber cloths, which have long lifespan and are extremely easy to clean and disinfect. Items such as broken light bulbs and old batteries often contain dangerous metals like mercury and cadmium. So it’s best to drop these off at your local recycling station, as they can pose serious concerns to the health of both humans and ecosystems if they aren’t disposed of correctly. Instead of opting for a plastic-housed air freshener that contains a cocktail of chemicals which you’ve probably never heard of, why not trust nature to purify your air for you? Plants naturally filter and freshen air. So consider getting some easy-to-care for houseplants, such as Chrysanthemums or Begonias, if you want to improve your indoor air quality. While vacuum cleaners may save your back, they certainly aren’t saving the planet with their electricity consumption. On average a vacuum cleaner typically uses around 1000 watts of electrical power, which may not seem like a lot, but over extended periods of cleaning it all adds up. Try sweep wherever possible and only bring out the vacuum cleaner when you really need it. Although there is a lot of conflicting evidence on whether the chemicals used in common household cleaners are in high enough concentrations to harm the environment, it’s best to err on the side of caution and make your own cleaners using natural ingredients such as lemon, bicarbonate of soda and vinegar – these eco-friendly ingredients are just as effective at tackling tough cleaning jobs and are much more cost effective. If you enjoyed these eco-friendly spring cleaning tips, and would like to read more about green living and eco-wellness, then be sure to scroll down to the bottom of this page and join our mailing list! What is fashion? For some it’s all about keeping up with the latest trends, for others it’s about creative expression. But for us at Boody SA, fashion equates to comfortable, eco-friendly and classically stylish clothing - like our Boody basics - that you can wear every day. And as the 21st August marks World Fashion Day, we thought we’d help you celebrate in style by sharing a few different ways to wear your Boodywear. From smart and stylish to laid-back and leisurely ensembles, we’ve got some outfit ideas that are sure to inspire you! Are you going for a fresh and feminine look? If so, we suggest you say no to sleeves and opt for a Boody Tank Top. This model shows you how you can transform your Boody basic with a pair of ¾ jeans and sneakers. If the occasion calls for something smart and stylish, then you may want to take note of how these Boody models dress up their basics. Featuring the Women’s ¾ Leggings and the Men’s Crew Neck T-Shirt, this fashion snap showcases the impressive versatility of these classic clothing options. Don’t be afraid to show some skin and wear the Cami Top with nothing more than a casual pair of high rise jeans and a few stylish accessories. Remember that less is more when it comes to creating elegant everyday outfits. Going for a casual stroll or walk on the beach? Why not embrace the laid-back look with a super comfortable Women’s V-Neck T-Shirt or Men’s Crew Neck T-Shirt? Ladies can layer their V-Neck with a denim jacket and liven it up with a scarf and matching pair of pumps, while men can create a leisurely-looking outfit with a pair of takkies, some knee-length trousers and a jacket. It's only natural to want what's best for your Baby. And as a parent you're entitled to be as picky as you like when it comes to dressing your little darling! But finding babywear that meets your standards and is sensitive to the needs of your bub is not always easy. That's why we at Boody, decided to introduce Boody babywear to our range of organic bamboo clothing. Designed to consider your child's every need, our babywear is the ideal choice for your tot's sensitive and delicate skin. Known for it's soft and stretchy fibre, bamboo is superbly suited to clothing production - especially when it comes to babywear. The four way stretch allows for non-restrictive flexibility and freedom of movement, Boody is perfect for wriggly tots and active babies who want to explore the world around them. Because bamboo fibres contain micro-gaps, which provide ventilation and pull moisture away from the body, they keep your baby comfortably cool, and ensure their skin breaths with ease. The bamboo that is used to make Boody Babywear is grown organically - without pesticides, insecticides or fertilisers. In addition to this, our manufacturing proccess excludes the use of toxic chemicals such as Formadehyde and flame-retardants. As a result, our yarn is 100% non-toxic, we also carry the Confidence in Textiles certification which certifies no harmful chemicals rub off the fabric on to Baby’s skin. If your baby's skin is extra sensitive and easily irritated, then you'll be glad to know that the Boody fabric is much gentler on skin than synthetic and traditional fabrics- this is due to the hypo-allergenic properties of bamboo. Containing an anti-bacterial and anti-fungal bio-agent which is retained and becomes more odour resistant the more you wash it! Boody Babywear ensures your baby's skin stays clean and healthy. ﻿Would you like to explore the Boody clothing options available for your baby? Take a look at our trendy range of babywear which you can purchase online. As the weather gets colder and winter begins to chill us to the very core, it’s tempting to turn up the heater and give in to those wasteful winter comforts that use up way more electricity than necessary. When it comes to winter clothing, we don’t always give much thought to the type of fabrics we choose, as we naturally assume that thicker fabrics are more effective at keeping us warm. This, however, is not always true. Some fabrics, like bamboo, have special thermo-regulating properties which trap in heat and negate the need for thick, heavy fabric. With the flick of a switch you can change the direction in which your ceiling fan spins. Why do this? Well, normally fans spin anti-clockwise to push warm air upwards and away from the area you want to cool. But by reversing your ceiling fan’s rotation you can cause it to push warm air downwards and towards the area you want to heat up. And since fans use energy more efficiently, they’re a great alternative to heaters. If you’ve ever left your curtains or blinds closed during the day, only to be greeted by an unusually cold chill in the evening, then you’ll know that something as simple as letting a little sunlight in can make a big difference to your home’s temperature. It’s a good idea to inspect your home for any air leaks that may be thwarting your efforts to stay warm. Draughts of cold air can easily creep in under doors or through tiny gaps in your window. So be sure to seal up all the gaps before you resort to any energy demanding heating devices. Do you have any eco-friendly winter warm up tips that you’d like to share? As always, we’d love to hear from you. So feel free to leave us comment in the box below! From left to right: Filippa Harrington and Daniela Puccini. When it comes to conscious living, we’re all about cultivating a community that’s as passionate about the planet as we are. Whether it’s discussing our views or sharing our enthusiasm, we’re always happy to engage in a meaningful way with our fellow eco-warriors. So when we crossed paths with Fillippa Harrington, co-founder of Gather Kindly, we were immediately drawn to her conscious dining philosophy, and wanted to hear more about Gather’s story. Boody: How did Gather Kindly begin and who was responsible for starting the company? Filippa Harrington: Gather is co-created by Daniela Puccini, and myself Filippa Harrington. We met five years ago, soon after I moved to Cape Town and connected over food instantly. At first, this connection presented itself as a joy of nourishing our friends, family and community and playing with flavor, texture and colour. As our friendship developed, and our independent experiences within the world of food, farming, wellbeing and gastronomy widened we were drawn to collaborate together in a formal sense, as a way of sharing a voice we felt lacking in the food space, and in Cape Town culture at large. A space where integrity is constantly evaluated, a space of wholesome nourishment that is eco-friendly, farmer-friendly and people-friendly and a platform from which to generate a make-it-yourself-culture, of information share and mindful ways of consuming and being. Boody: What was the inspiration behind Gather Kindly, and what makes it unique? Filippa Harrington: I’d like to think a few things. I think our personal backgrounds, both in where we come from and what we do creates a unique way of working with food and sharing information. Daniela is a fine-artist and classically trained chef, and I have worked in the not-for-profit sector supporting environmental organizations and urban farming initiatives, and my food skills are self-taught, with a keen awareness for nutritional integrity. Daniela’s food roots are Italian, and mine are Swedish. I embrace traditional Swedish food-culture methods of food preservation and fermentation, as well as connecting to the land through the use of wild food flavours such as local seaweeds, indigenous edibles and wild herbs and greens - which support a way of eating that is compassionate towards our own well-being, and that of our planet. Discovering the echo of these food practices, namely fermenting, foraging and the eating of wild greens, in traditional Southern African food culture has created a deep understanding of their universal importance. In terms of our projects, I would say our relentless commitment to supporting small-scale farmers who grow food without the use of chemical pesticides is unique… unfortunately! Luckily, more and more food projects are integrating more environmentally friendly kitchen practices and sourcing policies, but we really need chefs to lead the way and be a bridge between farmer and consumer, and use their skills to show how environmentally conscious dining can be delicious and nourishing. We also are wholly committed to providing individuals with the information and skills to make positive changes in their own lives, we don’t want to just feed people – we want to be sure they can take these practices into their own kitchens and own lives. Boody: What does conscious dining mean to you? Filippa Harrington: Thinking about more than what’s easy, more than our whims and more than just ourselves. Taking a moment to think of the bigger picture connected to our food choices. To ask questions. To acknowledge that maybe what may seem cheap now, is costly to the planet and our own health. Boody: Do you have any conscious living tips for our Boody fans? Filippa Harrington: We have immense power as consumers, every time we spend money, we are choosing to support something good or something not so good. What we buy is noticed, and the more ethical and environmental our buying decisions are, the availability of these products will grow and other companies will be forced to change how and what they are doing. Choosing one eco-friendly habit to commit to per month is a good starting point, and you’ll soon see how quickly these become natural practices, rather than something that creates stress or asks for more time in your life. And never underestimate the positive impact you alone can have on this world – it’s limitless! When it comes to buying chocolate, your brand choice can have more of an impact than you realise. It can either encourage unfair labour practices and environmental harm, or it can support sustainable production and ethical labour standards. It all depends on whether or not your chosen brand carries Fairtrade certification. This certification ensures that the Fairtrade organisation audits cocoa farms and traders annually in order to maintain ethical procedures within the entire supply chain. Unfortunately, only a handful of South African chocolate companies carry this certification. And of course, this means our options of ethical brands are very limited. Nonetheless, it’s important that we choose our chocolate brands with careful consideration, especially as we fill our trollies this Easter. To help you instantly recognise companies that adhere to these ethical standards, we’ve put together a list of Fairtrade chocolate brands. Take a look at the 3 products below. If you’re into all things organic, then you’ll appreciate this Fairtrade chocolate brand which prides itself in its high cocoa content. Where to buy it: Wellness Warehouse and select Pick ‘n Pay stores. Available in exciting flavours like Italian Orange, Butterscotch and Sicillian Sea Salt, this Fairtrade chocolate brand is sure to liven up your Easter. It’s great to see big brands like Cadbury getting on board with Fairtrade principles! For now, only the Cadbury Dairy Milk range carries Fairtrade certification, but we’re expecting to see more of their products ‘stamped’ with the Fairtrade logo in future. Will you be choosing any of these Fairtrade chocolate brands this Easter? We’d love to hear your thoughts, so go ahead and leave us comment in the box below! Famously started as a lights out event in Sydney, Australia in 2007, Earth Hour has grown into a powerful movement for climate change prevention. Committed to inspiring governments around the world to push climate change to the top of the agenda, the movement has already made much progress with climate-friendly laws and policies. From funding solar-powered homes to banning plastic in the World Heritage site of the Galapagos Islands, Earth Hour has achieved many environmental milestones over the years. But despite these advancements, there are still countless issues standing in the way of climate change prevention. That’s why Earth Hour needs you to help make as much ‘noise’ as possible for action on climate change. The more people the movement has on board, the more effective it can be in its environmental efforts. So if you’d like to play your part and show that you care for the planet's future, then be sure to join in on the action on the 25 March at 8:30pm. But before you do, why not take a moment to explore different ways to support this worthy cause? Take a stand against climate change and show your concern for this issue by joining millions across the globe as they switch off their lights from 8:30pm to 9:30pm on the 25th March. The Change Climate Change organisation have set up a campaign that allows you to donate your Facebook feed from the 22nd to the 25th of March. By giving this organisation permission to share 5 Earth Hour-focused posts on your personal newsfeed, you can help shine a light on climate change action and draw attention to the #ChangeClimateChange movement. Why stop at turning off your lights when you can host your very own event? Be it a candle-lit dinner, concert or party, one small event can make a big difference when it comes to raising awareness about the severity of climate change! You can give the Earth Hour organisation the means to make a difference with a little financial support. Whether it’s guiding over 172 Earth Hour teams worldwide to change climate change in their countries, or engaging with businesses and governments, your donation will help enable actions that create a real impact on the planet. Whichever way you choose to support Earth Hour, we hope this movement inspires you to join part in global efforts to prevent climate change, and that it encourages you to unite with fellow environmental activists to fight for the planet's future! What Is Earth Hour And How Can I Support It? Whether it’s producing oxygen, purifying the air we breathe or maintaining the planet’s incredible biodiversity, trees essentially support life as we know it. But the sad reality is that we’re quickly on our way to destroying the forests that are vital to our existence. According to the World Wide Fund for Nature, approximately 48 football fields of forest are lost every minute! And at this current rate of deforestation, the world’s most important forests could completely vanish in a hundred years. It’s a pretty depressing thought right? Well, we certainly think so. Fortunately, it’s not all doom and gloom. There’s a lot we can do to prevent this frightful fate. But before we get ahead of ourselves, it’s probably a good idea to focus on the small lifestyle changes we all can make first. Ensure double-sided printing is always enabled when you print. Avoid using paper notes to leave messages for your roommates or family -rather invest in a small white board. When making a purchase, find out if it’s possible to receive an electronic receipt. Instead of buying new books, try and see if your local library has the book you’re looking for. Swap books with your friends when you’re looking for something new to read. Get your daily news by subscribing to an online newspaper and avoid buying a print. Apart from reducing your paper usage at home, you can also help combat the devastating effects of deforestation by planting as many trees as possible – be it in your garden or at a location set by your local conservation group. Whichever way you go about saving the forests, we wish you the best of luck with this important eco-endeavour! We’ve all heard the ‘reduce, re-use and recycle’ slogan chanted over and over again in various television ads and marketing campaigns. And by now, most of us recognise the importance of adopting a more environmentally-friendly lifestyle, given the serious threat of climate change. But knowing what we should do is easy. Putting our knowledge into practice, however, is often a lot harder than we had ever imagined. Especially when we’ve formed many harmful habits over the years. For this reason, we often need a little bit of help and encouragement when it comes to changing our lifestyle and reducing our carbon footprint. And that’s exactly why the Boody team decided to draw up some eco-friendly living tips to motivate you to make a few changes that’ll benefit both you and the environment. Before you buy something, be honest and ask yourself whether you really need it. All too often we mistake our wants for needs and end up purchasing something that eventually gathers dust in some forgotten corner of our home. By reducing our purchases, we can help reduce manufacturing demands, and thus decrease the environmental damage caused by many manufacturing processes. You can also decrease manufacturing demands by choosing to buy reusable products rather than disposable ones (for example: razors with changeable blades, rechargeable batteries, cloth napkins etc.). The less waste we create the better! Having a few quality clothing essentials in your wardrobe, instead of many poorly-made items (that’ll fall apart after a few wears), is much friendlier on the pocket over the long run. We suggest you choose classic and timeless items (like the Boody V-Neck T-Shirt, for instance) that will withstand fluctuating fashion trends! In terms of the environment, quality and locally sourced clothing items definitely get our stamp of approval (read our Ethical Fashion blog to find out more about the textile and garment manufacturing industry and how it affects our environment). Contrary to popular belief, meat-free Monday is not just a vegetarian practice that’s currently ‘buzzing’ on social media. Meat-free Monday is a pledge to combat climate change. Going one day without any meat will not only help you save money, but it can also go a long way in slowing the harmful effects of climate change. Especially considering the fact that the livestock sector is one of the top three most significant contributors to the most pressing environmental problems that we face today. Although there are many more environmentally-friendly lifestyle practices that you could try, we hope that these 4 eco-friendly living tips will start you off on the right foot, and help you make ‘greener’ choices. If you’d like to get more eco-friendly living tips, then be sure to sign up to our newsletter to become part of our eco-conscious Boody community! 4 Eco-Friendly Living Tips That Are Easy On The Planet And Your Pocket. With all the things ‘Mother Nature’ provides for us, such as food, water, medicine, material for clothing and material for housing, we thought it’s high time we starting showing a little more appreciation by giving back. But how exactly do you give back to the environment? Well, for a start we thought it might be a good idea to encourage our friends and family, as well as all our faithful Boody fans, to give Eco-friendly gifts this Christmas. Given the increased indulgence and excess spending over the festive season, we’re sure you can imagine the heavy demand placed on manufacturers during this time! However, with all the excitement and hype, many of us fail to think about the gifts that we buy, and whether or not the manufacturing processes required to make them are harmful to the environment. With this in mind, we’d like to help steer you in the right direction by sharing a list of Eco-friendly Christmas gift ideas. This stylish tote bag from Faithful to Nature, is made from a blend of 55% hemp and 45% organic cotton, and it’s also a proudly South African product, as it’s manufactured in Cape Town. Show you care with Boodywear. Our Boody gift packs make the perfect gift for your Eco-conscious friends and family, and they’ll definitely enjoy the silky comfort of organic bamboo clothing! Shop this online or all other Boody items at your nearest stockist. ﻿Treat your loved ones to a little TLC at the Organic Bliss Salon in Nelspruit. They can indulge with a clean conscience as they are pampered with Eco-friendly and organic beauty products. Did you like our eco-friendly Christmas gift ideas? Leave us a comment below and let us know which idea you liked best. Also, feel free to share any environmentally-friendly gifts that you’d like to make others aware of. Worth over a trillion-dollars, the textile and garment industry is not only recognised as one of the largest industries in the world, but it’s also notorious for its human rights violations, unfair labour practices and environmental pollution. Whether it’s forcing cotton farmers to use harmful pesticides, polluting rivers with toxic dyes or exploiting vulnerable women and children, the lack of moral integrity in this industry is alarming. Although most of us have heard stories about the abusive conditions, and appalling working environments in the sweat shops, very few of us stop to think about where our clothes come from and who makes them. But with the South African clothing industry struggling to compete against imports from low-wage countries such as China, the Middle East and Southern Asia, the unfortunate reality is that the majority of our clothes are made by companies that place profit before principles. In most cases, incredibly cheap bargains are sourced from clothing manufacturers that constantly violate human rights, and pay their hardworking labourers below the minimum wage. What we don’t realise is that our purchasing decisions have the power to fuel a vicious cycle of exploitation and harm to the environment. By buying from brands that import fast, cheap clothing, we are inadvertently supporting unethical fashion - as the demand for fast, cheap clothing increases, so does the production! Ethical fashion, however, is an initiative which aims to break this cycle by making consumers more aware of how their fashion choices impact the lives of others, as well as the environment. At its very core, ethical fashion embodies a set of values which prompt the consumer to act in a way that discourages harm to people and the planet. How Can We Encourage Ethical Fashion? As consumers, we often underestimate our power to make a change. But it’s our actions that influence retail decisions, and there are many actions we can take to encourage ethical fashion. If you’re interested in finding out more about Boody and how we support ethical fashion, take a look at our manufacturing process. As lovers and supporters of healthy living and all things natural, we are HUGE fans of Durban-based company, Tree Natural Concept. So we’re sure you can imagine our excitement when the opportunity to interview the founders of Tree Natural Concept came our way! Especially considering the two have become quite well-known in the health and wellness circles. Recently engaged couple, Brett Roux and Dominique Howard started Tree Natural Concept from the ground up. Their wellness concept store consists of a holistic yoga studio, and a tree café that serves healthy and delicious meals. As big animal-lovers, they enjoy spending time in the studio with their pampered pooches, while they stretch out in the variety of classes Tree offers. Boody: What inspired you to start up Tree Natural Concept? Brett Roux: In 2015 we were living in Cape Town, where Yoga and Health food was taking off. During my family visits to KZN I noticed there was nothing in Durban that matched what the Western Cape had. I had, for a long time, been very passionate about fitness and nutrition and wanted to move into the industry. Drawing some inspiration form the Australian model and approach to Wellness, we conceptualised Tree. We felt Durban and the fit and healthy locals would really benefit from a concept like Tree. Boody: Can you tell us a bit more about your new Tree Shop? Brett Roux: Tree Shop was actually never part of the original plans but we noticed the demand for clean and healthy produce and products from our customers so we adapted. In many ways it was a natural progression for Tree to move into the retail space. Our focus is high quality, organic (where possible) locally sourced and ethical products. Our offering ranges from fresh fruit and veg, organic dairy, coconut yogurts, fresh breads, yoga merchandise, vitamins, supplements, a fully stocked nut bar, cosmetics and superfoods. It’s an exciting space to move into and the response has been fantastic. Boody: What made you focus on Yoga as a fitness practice at Tree and who do the classes cater for? Brett Roux: Yoga is for everyone. It doesn’t matter how old, how strong or how supple you are. We have had great grandparents next to Sharks rugby players and big wave surfers in our classes. The mental and physical benefits are immense and are well documented by scientific journals. Our instructors are truly wonderful and the teaching they offer not only changes bodies and mental states, but overall quality of life. Boody: What is your favourite Boody product and why is it your favourite? Brett Roux: Dominique loves the Shaper Crop Bras and V-Neck tees. I really like the Boxers and T-shirts. Their comfort levels are second to none and make wearing other clothes quite difficult. I love the sustainability of the product too. Boody: What advice would you give to Boody fans who are wanting to live a healthier lifestyle? Brett Roux: Start Simple. Find want makes you happy to move and go from there and build on that. Fitness has a suffering stigma attached to it, but in truth it’s supposed to be fun. Connecting with your body and using your body is a privilege. Food wise my approach is similar, healthy and delicious are actually best friends. Learn about products that don’t sacrifice flavour, nourish yourself with fresh and healthly produce and remain being a foodie while eating wholesome foods. Boody: What health trends have you noticed lately? Brett Roux: I don’t like the idea of trends, I like the idea of a sustainable lifestyle. With increased access to information people are becoming more educated, hence healthy products are becoming more popular. People are starting to understand that investing in your lifestyle and diet will actually save you down the line. We love educated and informed customers who share the same passion we do for healthy and natural living. So I guess if there is one trend I have noticed it’s that health is less about how lean you are or how big your muscles are, but more about longevity, respecting your body and enjoying the ride. After reading this, we hope you realise just how fun healthy living can be, and we hope you’re as inspired as we are to stay in shape! Join our mailing list for more great reads on healthy living and organic products – simply scroll down to the bottom of this page and enter your email address in the sign up box. When it comes to living a healthier lifestyle, the clothes you wear are probably not the first thing to come to mind – if they even come to mind at all! But considering our skin is one of the body’s largest and fastest growing organs, surely we should give a little more thought to what we choose to cover it with? After all, our skin looks after us by shielding us against things such as temperature extremes and harmful UV rays, so why can’t we return the favour and look after it? Which Chemicals Are In Your Clothes? The use of chemicals in textile production may be common knowledge, but exactly how many chemicals are used, and are any harmful to our health? A recent study, conducted by Stockholm University researchers, tested numerous garments from Swedish and international clothing chains, and identified thousands of different chemicals remaining in the finished textile products. Although many of the identified chemicals were harmless, more sinister substances, such as Formaldehyde, flame-retardants and perfluorinated chemicals were unearthed. Whilst these chemicals help make our lives easier by offering us wrinkle-free or stain-resistant convenience, they also have the potential to affect our health. These hazardous chemicals, which are found in many synthetic fabrics, may not have any immediate impact on our wellbeing, but using these fabrics on a daily basis can do more damage than we think. Take formaldehyde as an example: In 1987 the U.S. Environmental Protection Agency classified formaldehyde as a probable human carcinogen under conditions of prolonged exposure! Think about it, your skin is not a closed-off system. Many medicines can be delivered through skin application and absorbed into your bloodstream. So surely it makes sense to pay attention to what our skin comes into contact with? We certainly think so, and that’s why we proudly promote the use of organic clothing! Our very own Boody bamboo collections are made with the skin-friendly and conscious consumer in mind. From growing the bamboo organically (EcoCert) which is completely pesticide free, to using vegetable based dyes, ensuring there are no nasty chemical residues rubbing off onto your skin. But whatever your fashion preferences may be, we hope that after reading this, you are encouraged to choose clothing that is both good for you and the planet! Take a look at our awesome range of organic Boody clothing which you can purchase online. Can What You Wear Really Affect Your Health? Whether it’s used in construction, cuisine, medicine, tool-making, music or clothing, bamboo has plenty to offer. With its wide range of uses, and extremely versatile properties, it’s no surprise that many refer to it as the miracle plant. What is surprising, however, is the fact that over centuries of use, it has attained little recognition for its extraordinary environmental benefits. But, given the desperate state of our planet and the dire issues surrounding climate change, surely it’s high time to shine some spotlight on this eco-awesome grass species? We certainly think it’s time to raise awareness about its environmental benefits. Don’t you? Take a look at the eco-advantages below to see how bamboo can help save the planet. Although pesticides and insecticides help destroy harmful insects and fungi that are found on crops, they often end up polluting the surrounding environment with toxic chemicals. Fortunately, with bamboo plantations, there is no need for pesticides and insecticides, thanks to the plant’s anti-bacterial properties. With the increased demand for agricultural commodities, more and more forests and grasslands are being converted into farm fields. And by planting crops, which fail to maintain the soil - such as coffee, cotton and wheat – farmers are inadvertently contributing towards soil erosion. Certain crops, however, have the ability to prevent soil erosion. And bamboo is one of them! Its vast root network holds the soil tightly together and releases vital nutrients into the ground, thereby enriching the soil. Though most plants can convert carbon dioxide into clean, breathable oxygen, bamboo is able to do this much more effectively – the plant is able to produce 30% more oxygen than an equivalent area of trees! After reading this, we hope that you see bamboo as more than just food for pandas! The miracle plant is a solution that can help combat climate change, and by choosing bamboo products you are choosing a greener future! You don’t have to forsake all material possessions and chain yourself to a tree to be an eco-warrior. It’s the little things you do in your everyday life that can make a big difference. Recycling, for instance, is a great way to reduce pollution and waste, and help keep our planet green and clean. Although many may think recycling stops at taking your plastic and paper to your local recycling centre, it isn’t the only way to be eco-savvy. You can also recycle by finding new purposes for your waste. Making crafts, décor or jewellery out of your non-perishables, for example, can be a way to save money, help the planet, and have fun at the same time! But getting your creative ‘thinking cap’ on isn’t always easy. That’s why we thought we’d give you a little inspiration by sharing a few fun-tastic recycling projects. 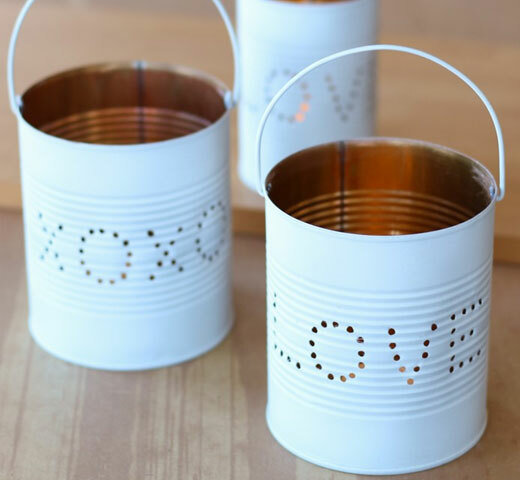 All you need to glam up your tin cans, are a few basic tools and a bottle of spray paint! If you like the look of these tins, then this free printable template will help you replicate the design. Who ever thought a tyre could look this stylish? Talk about turning waste in to wonder! You don’t need a sewing machine to make this clever pencil case .A few bright and colourful zips, some scissors and a glue gun will do the trick! Do you have a few old belts that don’t fit around your waist anymore? 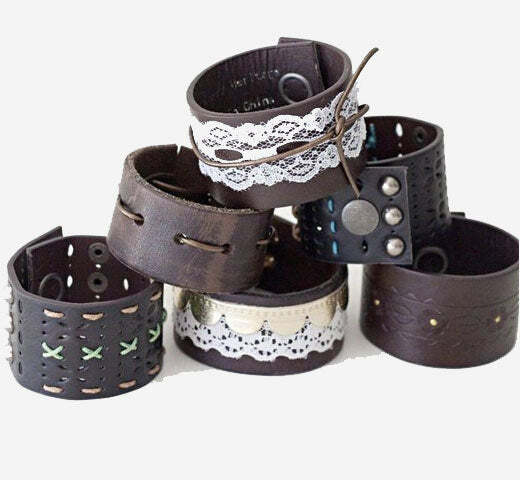 Instead of throwing them away, why not transform them in to trendy cuffs like these? Have these recycling projects fired up your creative thinking, and encouraged you to be a bit more waste-wise? We’d love to hear your thoughts, so please feel free to fill up our comment box with your awesome opinion! Those who have undergone the intensive radiation treatment, as well as surgery, which often follows after a breast cancer diagnosis, will be familiar with the struggle to find clothing that is both flattering and nonabrasive. Whether it’s during the radiation treatment or after the operation, mastectomy patients have to constantly battle against extreme discomfort - the act of simply putting a shirt on can be really painful! That’s why it’s important for breast cancer patients to find clothing with soft fibres that gently cling to the skin. And this is where Boody comes in. Thanks to the unique properties of bamboo fibre, our clothing range is able to provide mastectomy patients with all the comfort they need, and much more than that! Bamboo fibre rapidly absorbs moisture, ensuring your skin remains dry and comfortable. Harmful, disease-spreading microbes don’t stand a chance against the antimicrobial properties of bamboo. Test results from the Test Center of Antimicrobial Materials show that the antimicrobial activity in bamboo reached AAA grade. Chinese academics use the word ‘Air Vitamin’ to refer to bamboo fibre. This is because it contains anions (negatively charged atoms), which are very helpful for human health – anions have been known to help purify blood, improve allergic constitutions and assist with recovery. Bamboo fibres are exceptionally light and luxuriously soft. But what’s even more important than the unique health benefits that bamboo is able to offer, is the way that Boody makes you feel! Because Boodywear is designed to hug the body in all the right places, it works wonders when it comes to combating the loss of self-confidence that many mastectomy patients experience when confronted with their new and unfamiliar body shape. Whether it’s crop bras , tank tops , cami , scoop tops or T-shirts , we are proud of the fact that our clothing is able to make a positive difference (however small it may be) to the brave warriors that fight against breast cancer. All too often we see people in positions of power, who fail to fully recognise and utilise their influence. Fame and fortune can easily inflate celebrities’ egos and lead them down paths of self-obsession and self-destruction. But when Hollywood’s heartthrobs choose to resist this temptation and use their fame and fortune to make a meaningful difference in the world, it is certainly the kind of act that is worth applause. You may recognise this blonde haired beauty from ‘Lord of the Rings’ or the ‘Aviator’, but what you may not recognise is her active role in taking care of Mother Earth. As an artistic director of the Sydney Theatre Company, she has used her influence to install one of the world’s largest rainwater harvesting systems, on the roof of the Wharf, (which saves 3 million gallons of water each year) and has been active in fighting for the implementation of carbon tax in Australia with the ‘Say Yes’ advertising campaign. If Leonardo’s Oscar acceptance speech about climate change didn’t convince you of his commitment to saving the planet, then perhaps the fact that he’s served on boards such as the World Wildlife Fund and the Natural Resources Defense will. This fun-loving actress may be known for her ditzy roles in ‘Charlie’s Angels’ and ‘There’s Something About Mary’, but there’s nothing ditzy about her efforts to combat environmental issues! Her determination to raise awareness about ecology and conservation has lead her to create an MTV environmental documentary, and to participate in Al Gore’s climate change project program called ‘Save Our Selves’. This Hollywood hero doesn’t waste time sitting around. Brad and his wife Angelina Jolie, are known for supporting many worthy causes, such as the ‘Make it Right’ foundation, which focuses on building eco-friendly and sustainable houses in New Orleans, and the Jolie-Pitt foundation, dedicated to protecting natural resources and conserving wildlife. These four are just a few of the celebrities that are saving the planet, and it is encouraging to know that more and more famous actors are waking up and realising their ability to make a change. Climate change is a threat facing all mankind. Whether we are rich or poor, famous or not, we all face the same fate, and so we all need to work together to save our precious planet! Did you know that 2.12 billion tons of waste is dumped globally each year? We are simply consuming way more than we need, and our precious planet is suffering because of our greed. Waste treatment and disposal produces harmful greenhouse gases, such as methane, which contributes to 20% of the green house effect – one of the main reasons for climate change. If we carry on with these destructive habits, the earth’s resources will soon be depleted and it won’t be able to sustain us. Thankfully, more and more people around the world are starting to realise this, and are coming up with a number of ways to save our planet from its disastrous fate. One way to decrease the amount of methane released into the earth’s atmosphere is to recycle. We’d like to inspire you to get on board with recycling by sharing a few creative ways in which people have turned waste into wonder. Favio Cháves is an environmental engineer with a background in music. While working on a waste recycling project, he came across kids who were playing in landfill sites because their parents (who were working in the waste industry) could not afford to send them to school. He soon got to know these kids and decided to help them by offering music lessons. The only issue was the expense of the instruments. Favio soon worked around this and used his skills to engineer string and wind instruments out of waste. Talk about resourcefulness! Never has the saying ‘necessity is the mother of all invention’ been truer than with this amphibious bicycle! Li Weiguo, designer of this ingenious creation, decided to save his daughter, Li Jin, from paying expensive commuting fees by building her this bike. His design uses plastic water containers that act as pontoons, which keep the bike afloat and give it stability. What a useful way to recycle! Designer Kumvana Gomani, uses plastic bottles to craft her stunningly intricate jewellery. Kumvana ensures that all her products are manufactured according to strict ethical guidelines, which prevent environmental exploitation and the exploitation of local producers. Her passion for protecting the environment has lead her to empower designers and artists, in developing worlds, to support local economies through waste recycling. We love how these creative people are not only saving the planet by recycling waste, but are also inspiring others around them to join their movements! The fate of future generations lies in in our hands, so we encourage you to take action and join us in our movement to save the planet and in Boody’s case to #wearwhatsgood. Bella: Kinderklets - Groen van jaloesie?